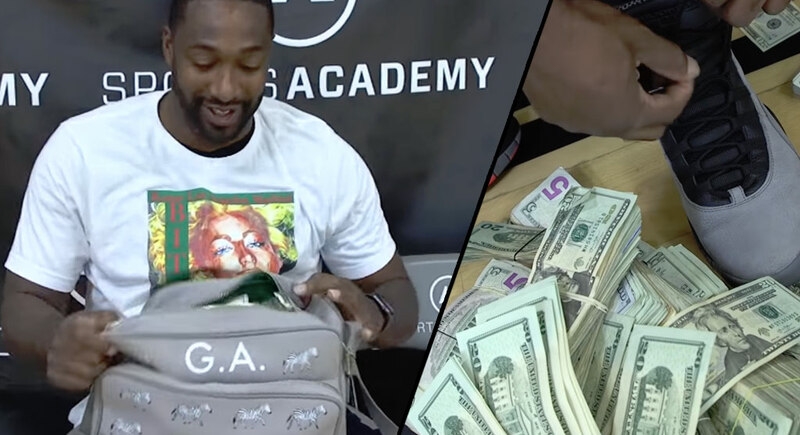 In this new video from his ‘No Chill Productions’ YouTube channel, Arenas shows up to a gym with a $100,000 in cash to challenge his friend and former Wizards teammate Nick Young to a friendly shootout. The NBA Champ was a no-show so Arenas decided to shoot his 100 shots anyways. HE MADE 95 OUT OF 100!